Hardwood flooring adds a level of elegance and sophistication to any room. In the days leading up to your flooring installation, it’s smart to prepare the space so that the contractors can get to work without delay. Here are a few steps that will make their job simpler, so that you can enjoy your new floors sooner. Your belongings need to be completely removed from the room, in order for your flooring contractors to work efficiently. Since installation requires laying planks of wood, there’s no room to maneuver around large pieces of furniture and other types of home decor. Make sure everything is safely put away, so that you don’t risk damaging anything. Make sure that the walls are completely free of decor, too. While the odds of wall damage are slim, hardwood flooring installation can produce plenty of dust during the sanding step. Instead of dealing with the mess in the aftermath, simply remove the artwork, mirrors, and drapes in the room. If you have shades, pulling them all the way up should be sufficient enough to protect them. Do your best to protect the rooms where you aren’t installing hardwood flooring. 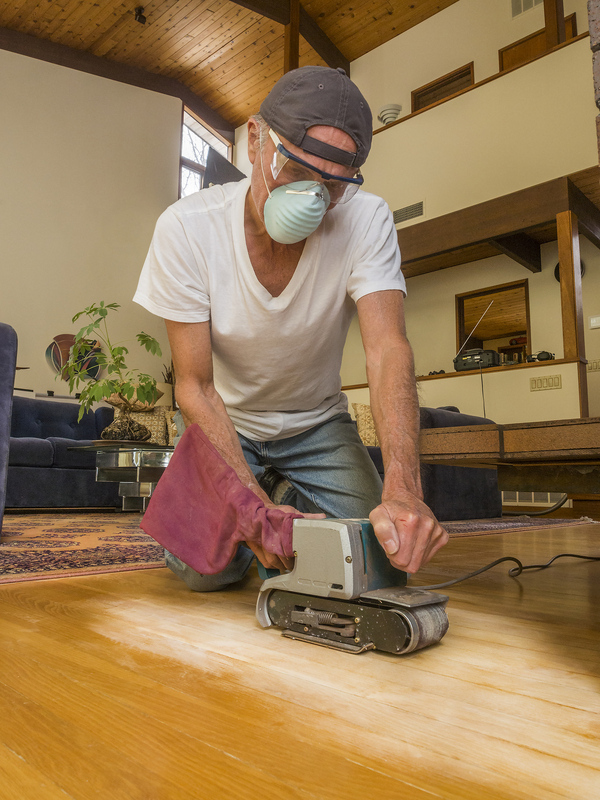 Dust may occur not only during sanding, but also when the wood is cut and trimmed. You can prevent it from migrating into neighboring spaces by shutting doors completely and covering open entries with thick, plastic sheeting. Make sure you create a complete barrier so that dust can’t seep underneath or through the sides of the doors. Kids and pets may be understandably excited at the prospect of having a lot of new activity throughout your home. However, it’s best to keep them away from the area where you are installing your hardwood floors to reduce the potential for accidents and injuries. Your flooring contractors will need enough room to enter and exit your home with their equipment and the wood planks. Make this job easier for them by creating enough space on the driveway, so that they can walk directly from their vehicle to the door without disturbance. This will protect the integrity of your hardwood, too. If you’re ready to give your home a makeover, turn to the experts at General’s Hardwood Flooring in Monroe County, NY. With more than 16 years of industry experience, these qualified flooring contractors are committed to bringing your vision to life. From complete flooring installation to hardwood recoating and refinishing, these professionals understand how to make the material look its best. Visit them online to find out more about their process, or call (585) 303-5704 to speak with a friendly team member today.